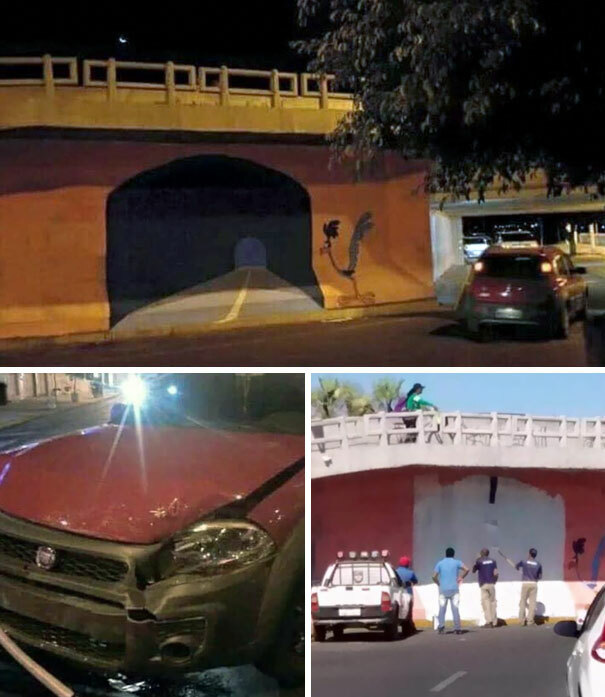 Remember the old Road Runner & Wile E. Coyote cartoons, and how the latter always painted fake tunnels? Well, a graffiti artist in Brazil thought it’d be smart to do just that on a brick wall, and as you can see, a Fiat drove directly into it. Fortunately, city officials painted over that optical illusion the very next day to prevent future accidents from occurring. Continue reading for more design FAILS that haven’t been Photoshopped. Click here for a few bonus images.